We had a remarkably lovely July 4th today. I should be in bed in fifteen minutes, so I’ll give you the condensed version. For the second time this week, we went to Gloucester to the beaches there. And for the second time, we had a superb time. Today was absolutely perfect: the air was the right temperature, there was the right amount of sun, the sand was everything silicate particles should be and the water was delightful. 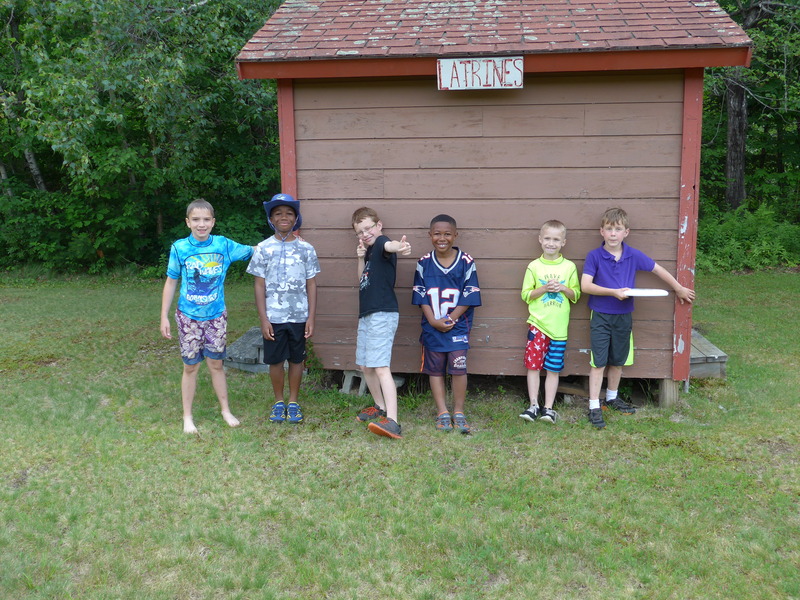 Today we went to Good Harbor beach – Saturday we went to Fort State. Both were a tremendous amount of fun. The waves were absolutely great at Good Harbor today – just right for splashing through, or jumping over, or boogie-boarding. They were enticing and entrancing. The boys are just finally getting old enough and sturdy enough to have fun in the waves – Thane with a careful hand on him at all times, and Grey with a newfound resilience as he fell under tumultuous waves and rose again grinning. They’re also old enough that I got to read a little on the beach, and we flew kites (they practically flew themselves). It was a sunny, sandy delight. We were home just long enough for a farmshare salad and quick shower before packing a tired family into the car (plus two neighbors!) for the fireworks on Wakefield’s Lake Quannapowett. As we laid down our towels, the skies to the North looked dark. As darkness fell, flashes of lightning fought with flashes of illegal fireworks to light up the sky. By the time the display started in earnest, so had the thunderclouds behind it. It was really remarkable. We were completely dry, but lightning laced between clouds directly behind the truly remarkable display of fireworks. I must say, God’s display got the bigger applause from the crowd. It started raining – bucketing – as we walked quickly back to the car. But guys… it was SO COOL. Unfortunately, I have zero pictures from today because I was lazy at the beach, and figured that any pictures I could take of (normal) fireworks would be lame. I usually don’t take “scenery” pictures because others have done the exact same ones, only better. And my photography skills have not yet extended to fireworks, which are tricky. I’m terribly sad, but I’m hoping that someone else did much better and you’ll get to see how awesome it is as lightning laces its way through fireworks! Yes, I now think it is time to become comatose! Happy 4th to all my American friends, and happy day to the rest of you!